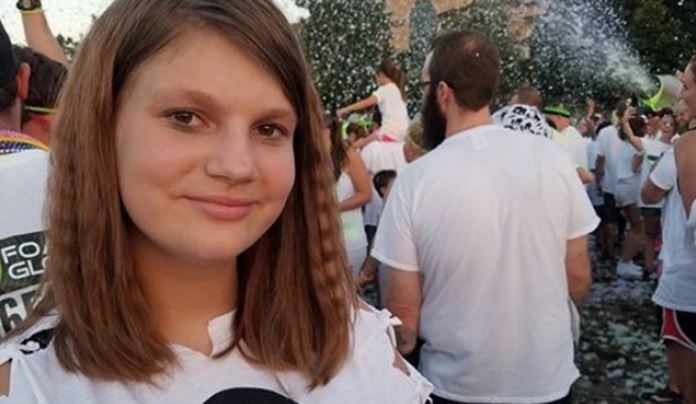 PERRY, Utah, Oct. 23, 2017 (Gephardt Daily) — The family of a 14-year-old girl struck by a pickup truck in Perry nine days ago and left in very critical condition has reported she is now in stable condition. Sarah Hardy was struck while crossing U.S. 89 on Oct. 15. Also hit was her friend, 16-year-old Alexis Nelson, who died from her injuries. Hardy still needs help to breathe, has injuries to her lung, ribs and spine, and suffered some brain injury. But her family is celebrating small medical victories. “Sarah’s numbers are remaining stable,” her father, Troy Hardy, wrote Monday evening on a GoFundMe page established to help pay medical bills. “She did have to battle a high fever for a couple of days. Thankfully that has subsided, and we don’t think it is from infection. Troy Hardy said his daughter’s breathing tube was removed Friday, to see if she could breathe on her own, and had to be reinserted about an hour later when the effort became difficult. “Her right lung still is quite injured,” the elder Hardy wrote. “She has three broken ribs on that side. We are hoping that in the next few days they can try to let her breathe on her own again. “Brain swelling has subsided,” Hardy said, ” … and we are holding our breaths to see how her ‘severe traumatic brain injury’ will affect her. Likely she will have to relearn a lot of skills, and will require full time in home care after leaving the hospital.